A little over a year ago I posted on the blog about Cowboys and Cowgirls with a couple of nice photos. To this day that posting has been the most popular in terms of daily hits! There’s rarely a day goes by that there aren’t a number of clicks on that posting coming from web searches for cowboys and cowgirls. This continues to surprise me but perhaps it shouldn’t. After all, when I was a youngster in the 1950s, cowboy shows were as popular as reality shows are on TV today! Additionally, we in this country seem to fondly embrace our wild west background. Some of my photographer friends made the trip this weekend to the Buckin’ Ohio Rodeo but I was unable to go. After seeing some of there photos however, I decided to revisit my photos and post a couple of new ones. If you follow my blog you know that I love black and white, or monochrome images, so I converted both of these since they seemed to have nice contrast. Ladies first this time with a rodeo cowgirl riding just prior to the barrel racing competition amidst a cloud of dust. It was beginning to get dark so this shot was taken at ISO 8000 in order to get a shutter speed fast enough to freeze the action! 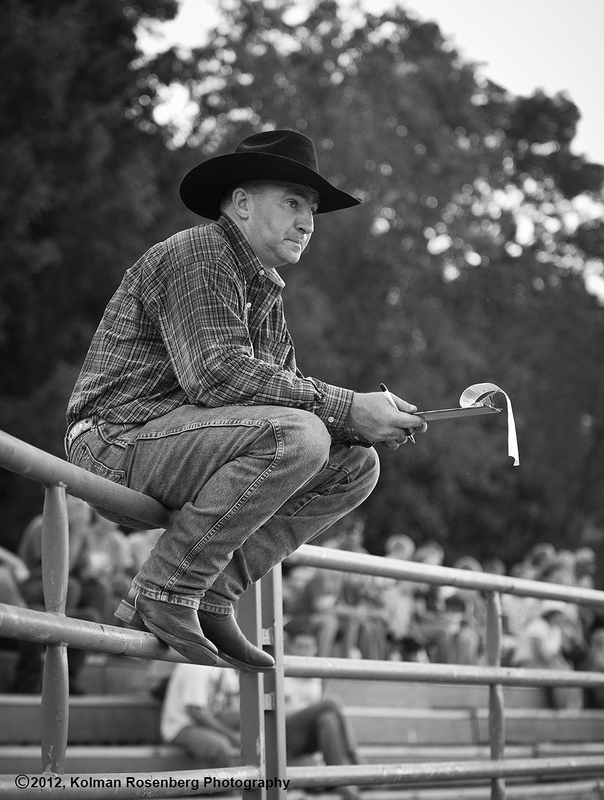 The cowboy was sitting on the fence taking notes of keeping track of something on a clipboard. Perhaps he was rating or scoring the cowboys during the bull riding competition, or perhaps he was rating the bulls! I think I’ll try to make a trip later this summer to the Buckin’ Ohio Rodeo . It’s great fun and full of photo opportunities! It’s located in Burbank, OH, just about an hour south of the Cleveland area. 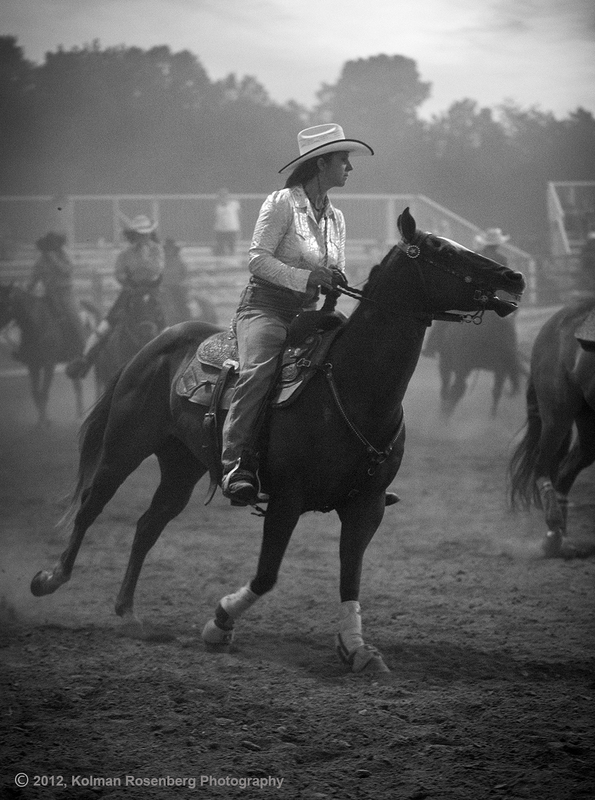 This entry was posted in Uncategorized and tagged barrel racing, Black and White, buckin ohio, bulls, burbank, Cleveland, cowboy, cowgirl, horse, iso, monochrome, OH, rodeo, shutter speed. Bookmark the permalink. Both shots are very good and give a real tast of the events. Thank you for sharing! I always forget how far rodeo has spread and that you can get such authentic, wonderful photos in Ohio! Thanks for your comment! Yes rodeo is alive and well in Northeast Ohio!